Enjoy a weekend break or a short vacation to the spectacular city of Buenos Aires, also commonly known as 'The Paris of the South'. Our tour is very personalised and we will meet you at the airport to make sure your trip in Buenos Aires goes as smoothly as possible. Enjoy a private city tour with our bilingual tour guide, we will show you the best that Buenos Aires has to offer while letting you know a few hidden stories about this fascinating city. We will also take you to a traditional Tango Dinner Show where you can see a truly spectacular Tango dance while enjoying a traditional Argentine dinner. We are all bilingual English speakers to make sure your stay in Argentina goes as smoothly as possible. Ask us about the possibility to extend your stay in Buenos Aires or spend a few days in a different city, perhaps Iguazu, Mendoza, El Calafate, Salta, Bariloche or Ushuaia. Day 1 - Buenos Aires: We will meet you at the airport before taking you to your hotel. Arrive at your hotel and spend the rest of the day relaxing and enjoying your first day in Buenos Aires. In the evening we will take you to our Tango Dinner Show. 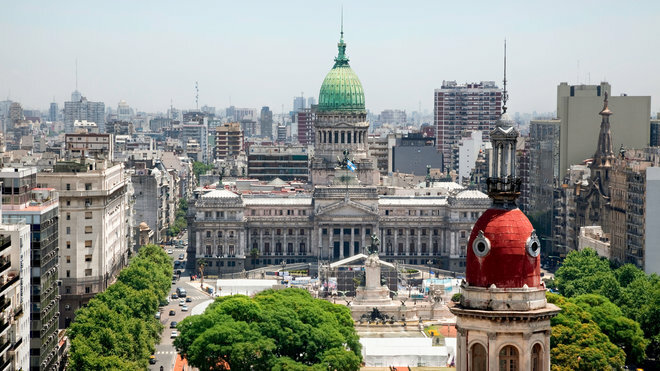 Day 2 - Buenos Aires: We will take you on our Buenos Aires Private City Tour. Our tour guide is bilingual and will let you know a few hidden stories into Buenos Aires and show you the best that this city has to offer. Day 3 - Buenos Aires: If you have an evening flight, you have the option of doing our optional Tigre Delta Tour or Estancia Tour (Ranch). When you are ready to leave for the airport, we will pick you up from the airport. Our helpful and knowledgeable team will be happy to help you. Send us an email/message to make an enquiry, plan or book your trip.